Pokémon Go breeding is a method of obtaining a Pokémon by producing an Egg that later will hatch into a pokemon who inherits traits from their poke parents. First, you must find two compatible Pokemon, this is important since in previous this would increase your chances of receiving an Egg. Things like if they are the same species help make Pokemon more compatible. In older installments, When receiving an egg, you will have a chance rate. Pokemon Go Breeding is a feature that Niantic are currently discussing adding to Pokemon Go. 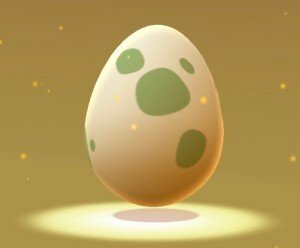 Similar to the current eggs you receive at Pokestops in pokemon go, Egg breeding will produce an egg that you will then hatch by traveling a specific distance (2KM, 5KM & 10KM). The exact amount of Km is still unknown as well as the date that this feature will come to Pokemon Go. For starters, you will get an egg, on top of others bonuses your egg bread Poke will receive. Certain moves can be passed down from the Pokemon “Parents”. This will be restricted based on the poke, for example, Magikarp can’t learn hydro pump. This can be used to breed the ideal Lapras with Perfect Movesets. This can help players obtain the same poke, but with higher VI ratings since egg mons have higher IV’s. The Pokemon’s IV’s are passed down onto the egg hatch Poke. These hatched Poke will Inherit the Poke Parents Stats both good and bad stats. Want To Learn About Pokemon Go Trading? Check Out The New Pokemon Go Centers?